I finally got it on her!! Isabella finally put on the tutu I made a few months back, and she loves it. She put it on and said “WOOOOOOW” then danced in a circle. So now I’m motivated to make her a few more to play in, since they are so easy to make and I already have the material. The fabric is a bit crinkled from being tossed around, but she still looks adorable. OK, she looks adorable regardless. 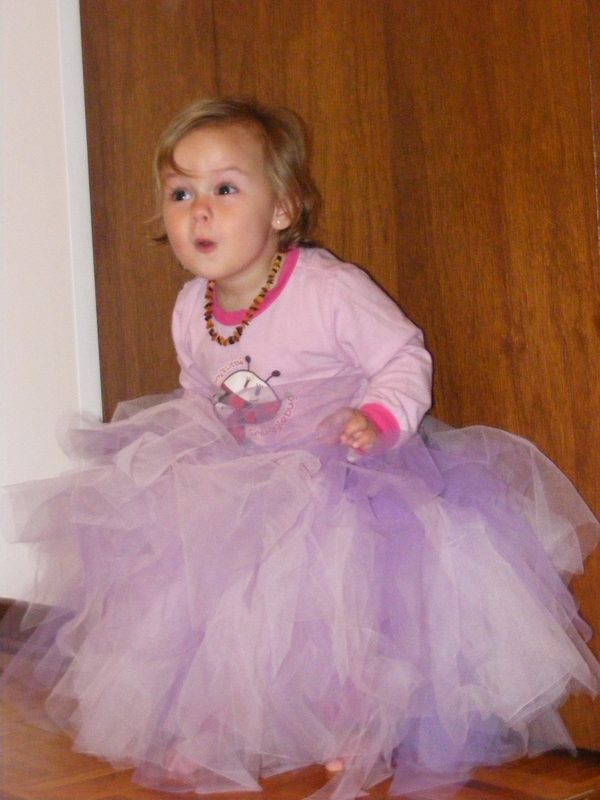 This entry was posted in A lot to do about nothing, Isabella, Uncategorized and tagged dancing, dress, Tutu. Bookmark the permalink. 2 Responses to I finally got it on her! !